YOU are the core of Corsearch! That is why we are looking for the missing piece in our customer service & help desk team. Your friends describe you as a good listener and the go-to person whenever a solution is needed. You talk and/or type your way into our clients’ hearts. You’re convinced that long-term relations based on a confidential relationship is the only way. You can rely on your excellent questioning and investigative skills to uncover customer’s needs. ‘Friendly’ and ‘client-oriented’ are your middle name. Especially when you’re on the phone. You think of yourself as an experienced customer engager. You can provide the best customer experience through a perfect follow-up thanks to your organizational, administrative and prioritization skills. If you already understand Intellectual Property Research; specifically; trademark, copyright and Internet related issues, that is a plus. You want to know all about our products, because you know that is the only way to provide answers and offer information. We’ll offer on-the-job training, so you can make sure clients can use our products and systems to their full potential. You have a soft spot for languages, a good level of German, French and English will go a long way. You are a Microsoft Office wizard and will feel comfortable working with different systems and tools after an internal training. You have mastered your multitasking and methodical skills during your higher education. You feel comfortable working independently but like to be surrounded by a team as a true team player. It’s all about the client. As a member of the Corsearch customer service & help desk team you will be handling the European markets. You will be in regular contact with clients, which are law firms and companies. Your main goal is to create the best possible customer experience. In what ways will you be in touch with the clients? You process requests or orders via phone or e-mail. You will offer information (as price quotes), provide solutions and support to Corsearch customers for our Online tool services according to your up-to-date product knowledge. Corsearch is the best-in-class in Trademark Clearance and Watching solutions. We do this by helping law firms and corporations manage trademark and brand issues. We are a growing, dynamic, international business with American roots. We are proud of our informal atmosphere, our worldwide presence and short communication lines. 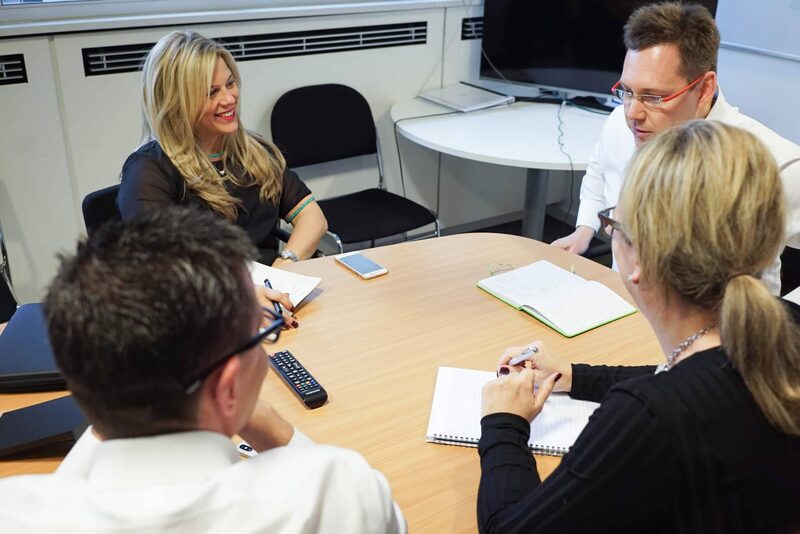 At Corsearch you and the team want to support the customer as much as possible with a focus on account management, retention and customer satisfaction. A job in Mechelen, on a walking distance of the Mechelen train station. An interim contract with option for a permanent contract. You’ll be part of an international corporation with offices all around the world. We offer you a flexible, challenging and changing work environment. You have the possibility to follow language courses after one year of employment. You’ll be part of a small, dynamic team.